KAYE, Julia. 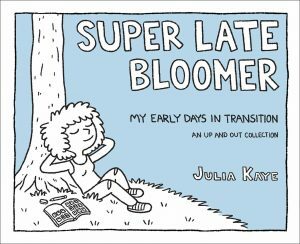 Super Late Bloomer: My Early Days in Transition. illus. by Julia Kaye. 160p. Andrews McMeel. May 2018. pap. $14.99. ISBN 9781449489625.